For many alumni, Syracuse University wasn’t just the place they received a world-class education, it was the spot where they found their soulmates. As Valentine’s Day approaches, we’re sharing stories of #OrangeLove. Read on, and meet four couples who found true love thanks to Syracuse University, and submit your own #OrangeLove story. It may sound unusual, but Hannah Visnosky can draw a direct line from the love she shares with Luke Rafferty to one of the darkest events in SU history: the bombing of Pan AM Flight 103. Hannah and Luke were both Remembrance Scholars, students charged with honoring the memory of those who lost their lives in the 1988 terrorist attack. They first met during a Remembrance Scholar get-together on Sept. 25, 2015, an encounter that made a lasting impression on Luke. “I remember seeing Hannah and nervously going over to talk to her, thinking, ‘A lucky man gets to marry her one day.’ From that first night on, we were best friends,” recalls Luke, who fulfilled his own prophecy when he proposed to Hannah in July of 2018. The sparks weren’t initially there for Hannah, who was in a relationship—something she told Luke to avoid leading him on. Still, he persisted, and the two went on their first date in January of 2016. The feeling was—and still is—mutual. The couple split up before graduation, but the break-up didn’t last. They resumed their relationship in January of 2017. “I realized my life was better off with Luke in it,” says Hannah. “Dating Hannah will never get old. Even when I’m 90,” Luke adds. Their involvement in Syracuse University’s Remembrance Scholar program is a source of great pride for Hannah and Luke, and they’re grateful it led to their love. 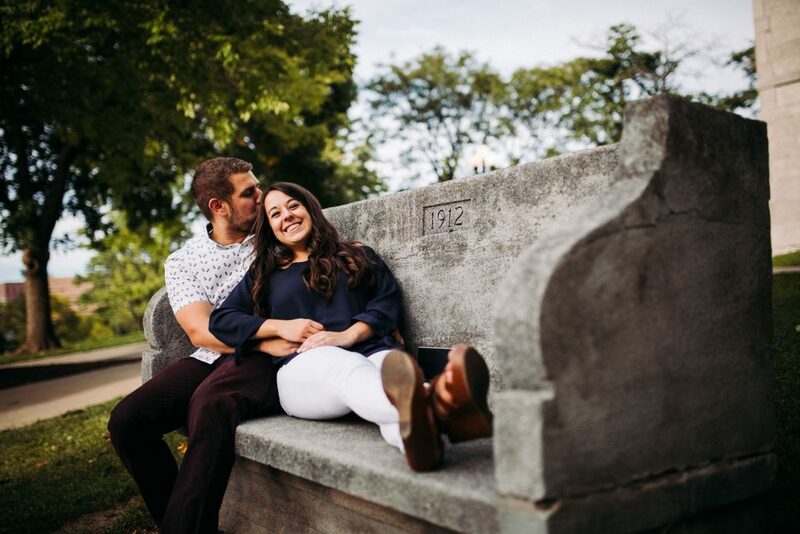 Hannah and Luke will wed April 13, 2019, in Cooperstown, New York. Terrence Roberts was a starter on the Orange men’s basketball team; Briana Wade participated in track and field. They trained hard to achieve their athletic goals, but the two needed a push when it came to love. Briana fell for Terrence when she saw him walking across the Quad. He felt a spark when he first saw Briana in the weight room. However, it took an introduction from Troy Weaver, then one of Jim Boeheim’s assistants, to kick-start this #OrangeLove story. Fast-forward 16 years and the couple is still going strong, raising two “adorable future Oranges, Jalen and Tamia,” boasts Briana. Before she could graduate, Briana put her education on hold due to financial constraints. However, she is back in school and working on her creative leadership degree from University College, on track to graduate debt-free. Kelley Cunningham and Frank Lanuto first crossed paths early in September of 1981. Frank, a freshman member of the men’s lacrosse team, was playing wall ball in Flint Hall when Kelley, also a freshman, came up the stairwell and interrupted him. She recalls him scowling at her; what she didn’t know at the time was that Frank was instantly smitten. “We both had huge crushes on each other, and Frank always says he knew I was the one the first time he saw me,” Kelley says. For a long time, their timing was off. Whenever one was interested, the other had a significant other. When a friend, Walter Ife ’85, held his annual tree lighting ceremony during sophomore year, Kelley and Frank realized they were crazy about each other. Unfortunately, Kelley was preparing to move to New York City to attend the Parsons Art School. Kelley and Frank ultimately parted ways and started their own families, never forgetting about their time at Syracuse. Nearly 30 years after their first encounter, at Walter’s 29th annual tree lighting ceremony, Kelley and Frank reunited. This time, both were single and ready to begin a relationship. 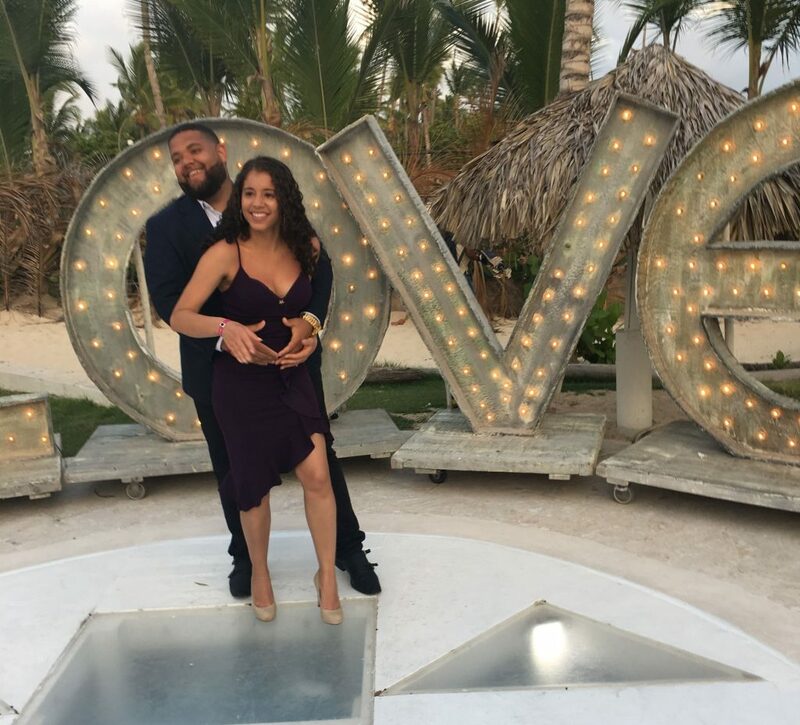 They rekindled their love and married on Dec. 17, 2016. When the couple came back to campus in 2018 for Family Weekend—Frank’s sons Samuel ’16 and Noah ’18 are Syracuse University graduates—they sealed their lifelong love with a kiss on the Kissing Bench. Yarmine Fernandez was taking summer classes at SU in 2010 when she met John Jimenez, who was working as a resident advisor. They shared meaningful conversations, developed a strong bond and became good friends that summer. But it wasn’t until the lowest moment of Yarmine’s life, after her father Sebastian passed away in 2013, that their burgeoning romance took off. John called to make sure she was doing okay and texted before Yarmine flew to the Dominican Republic for the funeral. When she returned, the two began communicating daily. What started off as a friendship blossomed into something much greater. John proposed at midnight on New Year’s Eve of 2016 on the George Washington Bridge—the site where they decided to become boyfriend and girlfriend. 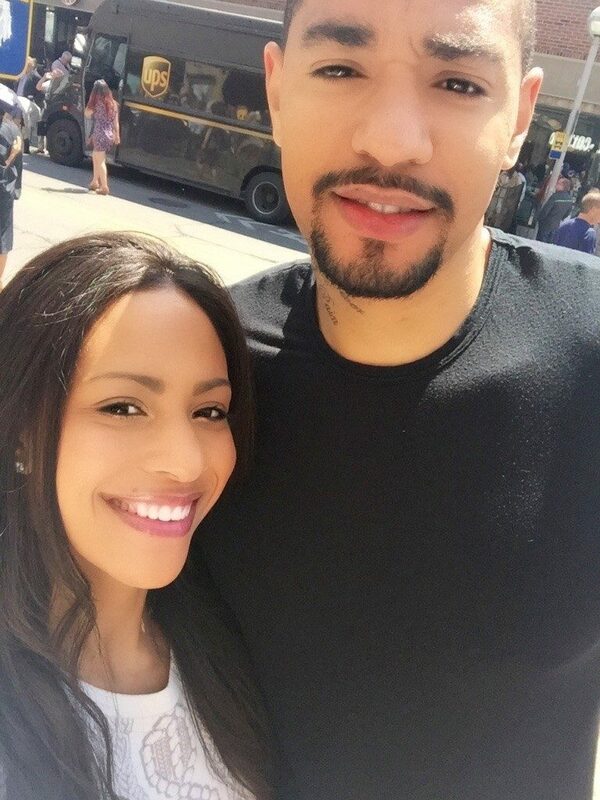 They’ll get married in August. 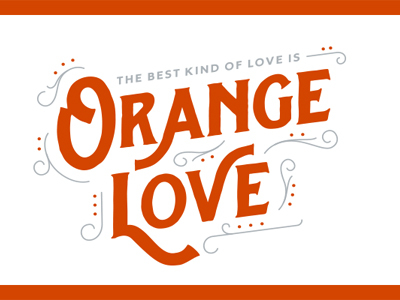 Do you have an #OrangeLove story to share? We’d love to hear it! Visit orangelove.syr.edu. View photos and read stories of other Syracuse couples in our #OrangeLove Facebook album. Happy Valentine’s Day, Syracuse sweethearts!